Buy or sell a Used NetApp FAS9000 Filer Head. Multiple configurations are available. Please contact us by phone or filling out our quote form for current pricing and availability. Need Maintenance & Support On This Equipment? We offer a full range of maintenance and support on NetApp storage systems. Find out more about our maintenance services. points of time. Storage can be quickly provisioned to meet specific service levels. 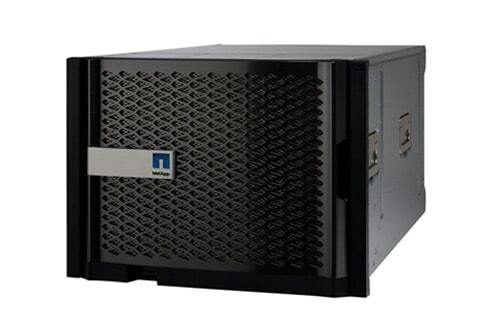 The NetApp FAS 9000 Filer Head has amazing reliability with 99.999% availability plus non disruptive operations the wipe out planned downtime so your data is always available. It also has the ability to transparently move workloads from hybrid to all flash nodes as your specific needs change. The NetApp FAS 9000 Filer Head is consistent, has sub-millisecond latency, and it’s scale out architecture let you meet SLOs for critical applications. Operational efficiencies let you more easily manage and reduce your storage footprint. For quickest response, please complete the buy/sell form at the top of the page. Since 1982, Spectra is your global source for used and refurbished NetApp Storage Devices! All Spectra provided NetApp storage systems are put through a rigorous refurbishment, reconditioning and testing process. All of our products are professionally packed and fully insured to avoid any damage in transit. From Ground to Overnight to palletized freight, we have excellent vendors that will handle your shipment in a professional, cost-effective and timely manner. Spectra accepts bank wire, ACH, company check, & PayPal. We welcome ALL major credit cards with no surcharge to our customers.